This major pyrotechnic festival takes place for five days every March and honours Saint Joseph, patron saint of carpenters. A vast array of paper maché figures known as ninots are made. These are satirical representations of local figures (actors, bull fighters). The figures are ceremoniously stuffed with fireworks and set alight on the day known as La Crema, the festival's culmination, although one ninot is saved by popular vote and placed in the Museum of the Ninot. There are also boisterous, daily firework contests. Valencia has the most spectacular Fallas celebrations but there are also festivities in Benidorm, Bunol, Calpe, Denia, Gandia, Oliva, Pego, and Sueca. This event in May was started by an Andalucian exile living in Torrevieja as a street party outside the bar he owned. It has now grown in popularity, staged on the Torrevieja fairground and celebrates all things Andalucian including flamenco music, traditional costumes and Andalucian horses which perform equestrian displays. There are many stalls serving sherry, tapas and the ever-present churros y chocolate. Many well known Spanish artists come to perform traditional music. Each town and village on the Costa Blanca has a feast day to celebrate its patron saint, who is thought to protect the town. These festivities generally last one week and processions and dancing replace work - most shops and businesses close down during this period. Often giant paellas are cooked in the streets and a beauty contest often runs parallel to the event. Dates vary from place to place but local Tourist Offices can provide. Festivals & Fiestas of the Costa Blanca Spain is the home of the fiesta. Find out about the origins, and what to expect from each of the main the annual calendar of the Costa Blanca towns and villages. Spain is known for its festivals (fiestas) many of which originated in religious events but have evolved to be a more general celebrations. Every city, town and village has its own festival which includes feasting, colourful processions, fireworks and partying. Here is an introduction to the most significant fiestas in the annual Costa Blanca calendar. Easter week is the most important Catholic tradition of the year in Spain. It begins on Domingo de Ramos (Palm Sunday) and ends on Lunes de Pascua (Easter Monday). There are street processions with colourful confetti and a carnival atmosphere every night on the Costa Blanca where religious icons are paraded through the streets, in re-enactments of the passion of Christ. This festival commemorates the Reconquista, or the re-establishment of Christian rule in Spain. Locals dress as either Moors or Christians for the occasion and re-enact battles. Costumes are spectacular and there are firework displays. An amalgamation of the ancient pagan celebration of the summer solstice, and the Christian feast of San Juan in June which sees Hogueras (paper maché figures) placed around town. Live music and dancing take place through the night. The culmination of the festivities is El Dia de San Juan when a huge palm tree shaped firework is set off from Alicante castle and simultaneously the Hogueras are set alight. A beauty contest accompanies the celebrations. Five nights of fireworks, starting at midnight, follow the fiesta. This fiesta is one of the most important for the town of Teulada and honours the patron saint, Vincente Ferrer who was born and lived in the town. Ferrer is said to have blessed the town to protect it from the plague. Ten days of colourful parades, live music and dancing and religious re-enactments take place in the week around 15 April. 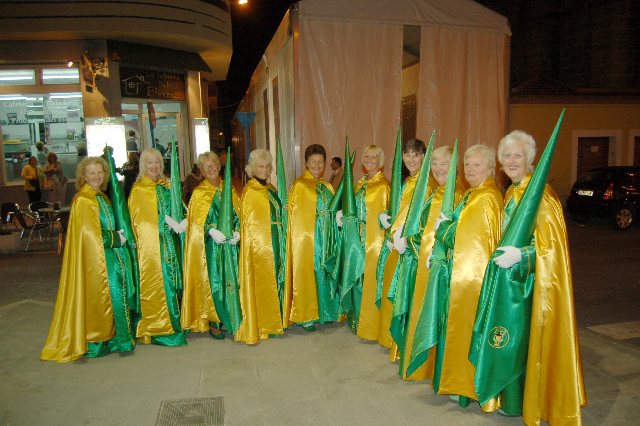 Celebrations are also held in San Vicente del Raspeig the weekend following Easter Sunday. This country villa is located in La Campaneta between Orihuela Costa and Redovan and has beautiful country views. Shops and bars are just a short five minutes drive and the beach is within a twenty five minute drive away. All on one level this property offers, fully fitted modern kitchen with separate utility area, lounge/dining room with terrace, three double bedrooms (one ensuite) and a family bathroom. The outside is gravelled surrounding the perimeter for low maintenance, a double garage with ample off street parking and private pool. The property includes A/C, central heating system, grilles, fitted wardrobes, TV/Telephone and internet connection points. Viewing is a must. 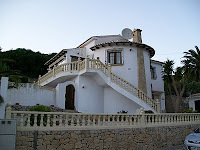 Has the Spanish property market hit the floor??? The Spanish government have been on the road lately promoting a PR exercise stating that the Spanish property market is on the rise! My opinions are not too dissimilar to that of the government´s but they are based on different facts. I base my opinions on what is actually happening on the ground. I think a potential rise in the market is based on 3 factors, stemming from the old Supply and Demand argument. It is also based on the Resale market which is the most vibrant and realistically priced market. Builder ´Key Ready´ properties and Bank repossession properties are still above the market value as their prices include built-in bank and builder debt. They are not based on client debt which is much more elastic because it depends more on human behaviour and personal circumstance. Have we hit the floor? Yes, I believe so.Why?We are still selling a high volume of properties monthly. Also, our enquiries are high, therefore the buyers are out there. Demand is high.Vendors have stopped dropping prices and would rather take their property off the market. Prices are now at the 1990's level.Interest rates are at an all time low and banks are starting to release more funds into the market. Normally a boom follows a period of low interest rates. I predict a slow rise in Spanish property prices over the next 2 years. Of course other factors will influence the market, such as unemployment in Spain, bank debt, the strength and stability of the Euro and the strength of Sterling affecting the Spanish expat areas. now having a more stable property market, a tighter fiscal legal system and a more stringent banking system. So, is in the right time to buy? In the more established locations, yes! Ref: vre 1257Type: Apartment Area: Costa Blanca South Town: Algorfa Beds: 2 Baths: 1 Pool: yes Price: €59,500 Description: This as new apartment is located on the lovely private gated complex of Cecilia close to the centre of the small Spanish village of Algorfa. Where there are numerous shops and other amenities within close walking distance, including medical facilities and schools. The nearest beaches are only 15 minutes away and the nearest golf course, La Finca is only 5 minutes away. The accommodation comprises of 2 double bedroom; a fully tiled bathroom; a lounge with sliding patio doors to a private terrace, a separate dining room and an American style kitchen with most of the white goods. The property has the use of both a communal swimming pool &amp; solarium, and is sold fully furnished. A property with good rental potential!